Let DreamWork Financial Group open your eyes to the world of informed investing. You’ve either started your search for the best financial advisor to meet your needs, or you are just looking for investor education. 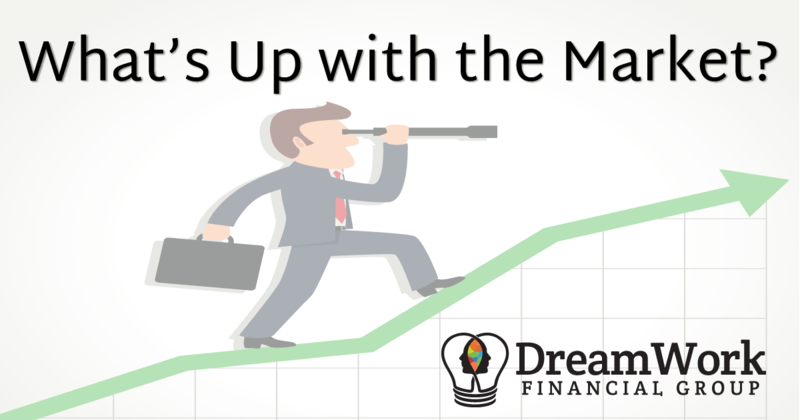 Maybe you’ve been listening to Dave Ramsey, and you are looking to partner with a Fee-Based Financial Advisor right here in Birmingham, Alabama. Here you will find valuable financial information such as Newsletters, Market Analysis, Trading Strategies, and 401k Investment Strategies. Additionally, you will find blog posts containing information that DreamWork Financial Group believes every investor should know. Please browse through our articles and let us know if you have any comments or suggestions on how we can make our site better for everyone. Also, if you have a question that hasn’t been covered here, just fill out the contact form and let us know what you need to know. Some other topics you may find here include Exchange Traded Funds, Retirement Planning, Stocks to Buy Now, and general Wealth Management information. Don’t forget to share this page and any of our articles on Facebook, Google +, LinkedIn, and Twitter! Last month we left off at a clear technical crossroads for the market as we were retesting the 2800 level on the S&P 500. In this month’s newsletter, we analyze how the market reacted as we retested that key level and where we think it will go next. Just as I’m ready to release another newsletter with no real market-driving news, this past Friday gives us a jolt as the yield curve inverted taking us all the way back to 2800 on the S&P, which is very significant. Since we left off last month, the market continues to melt higher with its 8th consecutive week of gains. This month we discuss where we think it’s going. We ended last month’s newsletter saying “that this correction feels different.” Well different may have been an understatement. Since we left off last month, the market is still going through a “tantrum” as it adjusts to higher interest rates. During this time, investors have been harshly reminded that stocks do have risk involved after years of running higher with little resistance.